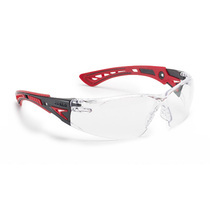 Applied by a dipping process on both sides of the lens, PLATINUM® is a permanent coating that gives a high scratch resistance and delays fogging beyond the minimum required standards. PLATINUM® ensures greater safety, reliability and comfort. 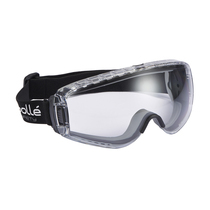 Bollé Safety believe that scratches and fog do not only attack specific surfaces...This is why they have decided to permanently apply anti-scratch AND anti-fog coating to each lens surface (inside AND outside). This dipping process offers protection which is twice as efficient and considerably slows the appearance of fog and scratches. Imitated but not equalled, PLATINUM® meets the requirements of all international standards and is available on all new products and select legacy styles. 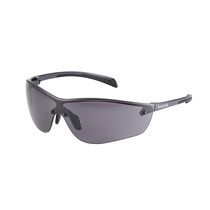 In all conditions and at all times, the PLATINUM® innovation provides the maximum protection for your eyes.